W.H. 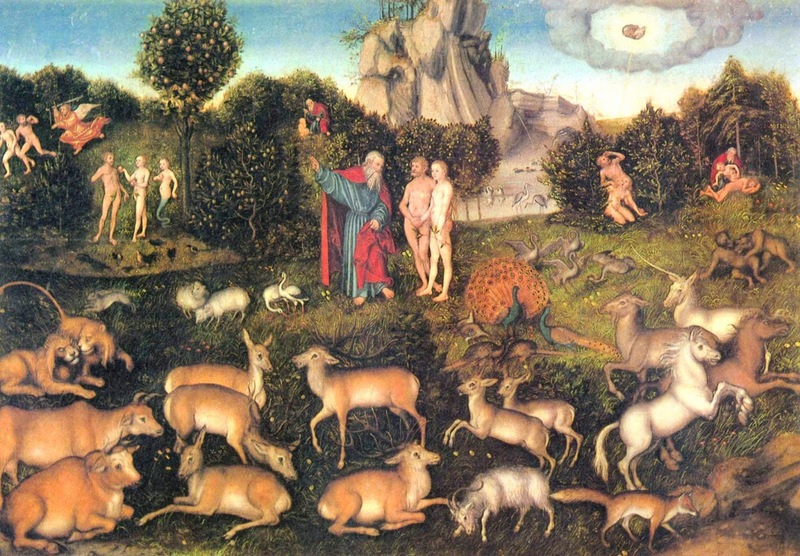 Auden once wrote out a description of Eden as he would wish it to be. I've long wanted to go through his various categories of Edenic climate and culture and ask how I would like to see these things ordered. Now, in an act undertaken to forestall the filling out of tax information forms, I've done it. Auden's writing appears in Roman script, my own in italic beneath. Rolling hills, partially forested, with ravines carved by rivulets feeding into a large freshwater sea, across which are visible mountains. In the uplands beyond the hills are great granite outcroppings, deciduous forests, and many smaller lakes suitable for canoeing and the landing of small pontoon aircraft. I suspect this question is a bit more politicized than it was in Auden's day. Anyway: highly mixed, more or less in the manner of San Francisco. English, but everyone will speak several, so that there will be newsstands with papers in all manner of languages, dialects, and scripts fluttering in the breeze. Metric, damn it. I don't care what you say. Metric for everything except for pints of beer. Syncretic, with public processions and statuary encouraged. Enclaves of peaceful mystics and anchorites in the hills. Plato's ideal figure, 5040, about right. 123,900—the population of Cambridge, England. New England style town hall meetings, which I do not have to attend but which nevertheless deliver results I find congenial. One agrees with Auden, with the codicil that solar power will substitute for coal. Various sorts of non-industrialized farming, including vineyards. Fisheries, publishing, musical recording, brewing, and a disproportionate number of colleges and small universities at which are studied the liberal arts as well as engineering in the genius-boffin manner of Tesla and Buckminster Fuller. Karmann Ghia, vintage motor-scooter, Dutch bicycle, light rail and—why not—balloon. Travel on the capital's many canals to be accomplished by punt and gondola. Travel to the world beyond to be accomplished by luxurious ocean liners of the style predominant c. 1900. State: Romanesque. Ecclesiastical: Syncretic, with inspiration drawn from the Bahá'í tradition. Domestic: What William Morris did. Arts & Crafts; Mission; shabby genteel; 1920s bohemian. The fashions of Paris in the 1830's and '40's. Think Wes Anderson movies. The Royal Tenenbaums and Moonrise Kingdom in particular. Newspapers of many sizes on different colored paper (predominantly salmon, pale green, and oyster). Thick quarterly journals containing long non-fiction essays. Witty graffiti and Diego Rivera style public murals. Many small ones, often tucked into wall niches or adorning fountains at the intersection of narrow cobblestone streets: the gods, the poets, the barroom raconteurs; the really good Facebook posters. Religious Processions, Brass Bands, Opera, Classical Ballet, also movies, radio and television. Movies projected outdoors, on the walls of buildings on the cathedral square will be popular. The serial radio drama will be most popular of all, and the Foley artists of such dramas will attain celebrity status.